We understand the many reasons why you might need a paid or free Gmail proxy service. 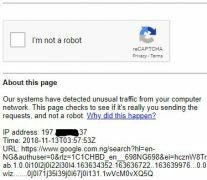 This is our reason for coming up with this post on top best Gmail Proxies and Gmail proxy alternatives for gaining access to Google services of any sort. Gmail Blocked by a Firewall. Gmail Bloked by your Country. Google/Gmail services blocked by your ISP or by an IT administrator. Frequent Captcha when using Google search and/or other services. Censorship and other Gmail account login challenges. Incessant auto-logout when on a dynamic IP address and etc. Are Gmail Proxies Really Necessary? While I can simply paste some proxy addresses for you to use with Gmail, it is better I give you the resource for generating clean proxies for Gmail, YouTube, Map, Google+ and other Google services. These proxy options would come in handy for accessing those websites that are blocked or have some sort of restrictions on them. Even if these internet sites aren’t fully censored by your ISP/IT admin, having a great private browsing experience helps you bypass some sort of inconveniences at work, universities, colleges, private offices, government offices, IP restricted area, public Wi-Fi and so on. This section includes free proxy addresses and free web proxy sites for accessing Gmail, YouTube, Google and etc. Note that the proxy address and port generated can be used by setting up manual proxy configuration for your internet browser. The guide for Mozilla Firefox can be found in this page. Now read on for the best free and clean Gmail proxy directories, reliable anonymous proxies and free web proxies for accessing blocked contents on the web. Free Proxy list is a top directory for getting clean, free, and non-blacklisted US proxy addresses for accessing Gmail, YouTube, Government sites and/or any other restricted content/service on the internet. There are several unique features of US proxy lists. Some of which are; the update frequency, https support info, anonymity type, and unique port details. To get fresh and frequently updated Gmail proxies from this unique service, visit their official website at us-proxy.org and pick the proxy address that works best with your internet service. Just like free US proxy list (in number 1 above), this service lets you get clean, non-blacklisted, and free Worldwide proxy addresses for accessing Gmail, YouTube, Dailymotion, Vimeo and other restricted web contents. It comes with an intelligent Filter that lets you sort proxy addresses by; type, anonymity, countries, ports, cities, state, and uses. To get new and regularly updated proxy addresses from this intelligent tool, use their official homepage at proxydocker.com to make your searches. Kproxy is my go-to service for viewing blocked contents on the web, bypassing ISP restrictions, DNS cache, censorship and admin restrictions. It comes with free addons for Mozilla Firefox and Google chrome internet browsers. The web version works great for smartphones, feature phones, smart wearables and tablet devices. It is far better than most free Gmail proxies because it is fast and works great with all browsers and/or ISP. To use Kproxy services, visit their official homepage at kproxy.com. If there are only a few services that works with YouTube and Gmail, then zalmos is one of them. Just like Kproxy, zalmos lets you bypass internet restrictions of all sort. It can come in handy for surfing on public Wi-Fi, Airport, Restaurant, Offices and when on transit. It is a great tool for bypassing restrictions and/or internet censorship. Zalmos is free to use and works with PC and mobile browsers alike. Their official website is zalmos.com. HideMyAss, while a good option for accessing restricted web contents is laced with intrusive ads. Although ads are normal with services like this, that of HideMyAss is sticky and highly intrusive. Apart from these annoying ads, it is a great tool to bypass firewall, government and ISP restrictions. With HMA free proxy service, you can pick from more than 5 different locations and would be able to customize your browsing experiences. ProxySite.com is another good proxy option for accessing blocked websites and/or service for free. It works just like kproxy and zalmos and lets you access restricted websites at work, public Wi-Fi and all. I have personally used their services for a Google product in the past and can confirm it’s a solid Gmail proxy option for those who are surfing from a restricted network/location. The interface of ProxySite.com is user-friendly, sharp and fast for most users. You easily protect your online privacy with it as well as visit popular websites like: Facebook, Imgur, Twitter, Reddit, YouTube, and etc. The name “My-Proxy” sounds fascinating, right? Well, it is a Multi-IP free web proxy for accessing blocked contents on the internet. It could easily be a top internet tool for surfing privately, if not for the few intruding ads. Just like ProxySite.com and HideMyAss, My-Proxy lets you access Gmail, Facebook, Imgur, Twitter, Reddit, YouTube, and Instagram securely. It is free and fast for most locations. This is another top proxy service for bypassing censorship and/or internet restrictions. Hide.me, just like its name lets you hide your internet surfing activities genuinely. It neither stores logs nor record your databases or IP addresses. On top of all of its features and support for all popular protocols like: PPTP, L2TP, SoftEther, IPsec (IKEv1 and IKEv2), OpenVPN, SSTP and SOCKS, it lets you use their proxy services ads-free. While AnonyMouse may not be a household name like Kproxy and HideMyAss, it is a solid option for gaining access to Gmail and Google services from restricted locations. It is free, fast and intuitive for surfing from all devices. To use AnonyMouse for private browsing, simply type the Google address you’d like to visit and click on surf anonymously to open the typed web address. Sometime it is good to safe the best for the last. For reading till this point you’re interested in knowing the top best Gmail Proxies for geeks and regular internet users. Whoer.net free web proxy services lets you access blocked contents on the web. With it, you can visit Facebook, Gmail, Metacafe, ThePirateBay, YouTube, Vimeo, Twitter and similar websites from a restricted location. It lets you bypass firewall programs, IT admin restrictions and filters. It is a reliable service for bypassing censorship and restrictions of any kind. VPNs and email messaging clients are a good proxy substitute for gaining access to blocked services. These Gmail proxy alternatives are great for personal PCs as installing external software and/or tools are not allowed at work place computers. Reasons Why People Loose their Twitter Followers? So if the restriction you’re trying to bypass is not at your work place, college, university, public offices and/or Cyber cafes, using VPNs and dedicated email clients would be a solid option for bypassing such restrictions. Talking about VPNs, there are both free and paid VPN services. For top best free VPN services that can bypass all known filters, gain access to Gmail, YouTube, FaceBook, Twitter and all, look through our list of 25 Best Free VPN Services here. For paid VPN clients, look through our post on the most solid VPN clients to use in 2018. Just like VPNs, email clients are a good option for bypassing browser restriction on Gmail and/or similar services. You can use such messaging clients to receive email communications on the go. Free Calendar Sync and etc. Well, before opting for proxy addresses, web proxies or VPNs, it is important to know the level of restriction that’s placed on Gmail, YouTube and other Google services. For most simple firewall blocks and browser filters, using alternate Gmail addresses like: https://mail.google.com/mail/x/, https://m.gmail.com, https://googlemail.com, https://mail.google.com/mail/, Google desktop, Email messaging clients and the likes can help you bypass these filters and gain access to Gmail. This works for most work-place blocks and Firewall restrictions on college PCs. For advanced filters like ISP restrictions, Government censorship and the likes, relying on web proxies, VPNs or TOR services is a better option. This is because these services are created to help you browse securely, bypass censorship and ISP restrictions. Whatever option you choose to go with, remember that the security of your Gmail account should be a top priority. Always avoid using proxy addresses that can’t let you log in to Gmail via SSL protocol. Very new and UNtrusted web proxy services must be avoided at all times. Have a thing or two to add on top best Gmail proxies, VPNs or Web proxy services? Please share them with us in the comments section below. I am not sure that proxies are the way to go for accessing Google services. Especially the free ones. Most of them are blacklisted and probably already used by a lot of users to access Gmail. This will raise a red flag and may get your account blocked. I would rather go for VPNs or dedicated proxies. Thanks for your valuable contribution Chris, it’s actually the logical thing to do. But most work PCs won’t let you install VPNs except (maybe) browser add-ons. There are PCs with Add-ons restrictions even, which is why most persons might go the web proxy way.